A marriage, to most people, is the most important relationship they will enter into in their lifetime. 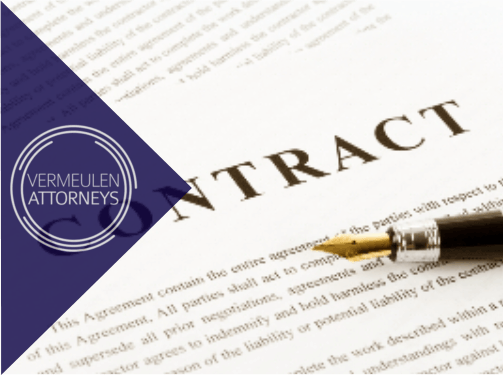 An Antenuptial Contract is an agreement entered into between parties whereby they elect, before getting married, the set of rules that will govern their marriage relationship in respect of assets gained or liabilities incurred throughout the course of the marriage. In the event that parties do not enter into an Antenuptial Contract, the standard position in South African law is that they will be married in community of property. If the accrual system is excluded by virtue of an antenuptial contract, the position shall rule that both parties have 100% rights and responsibilities in respect of their own estates. Therefore in the eyes of the law neither party has any claim against the property of the other, unless the parties enter into an agreement which would entitle one party to the property of the other. The exception to this rule would be cases where parties purchase an asset together. In such case both parties would own an undivided share in such asset. Many people prefer entering into a pure out of community of property Antenuptial Contract, as it is very straight-forward and easy to understand. The accrual system was introduced into the South African legal system by the Matrimonial Property Act 88 of 1984. Many prospective married couples are nervous about entering such an agreement, yet the Accrual system is a powerful financial planning tool. In short, both parties’ estates get allocated a value at the beginning of the marriage.At such time as the marriage terminates, their respective estate value is once again calculated. Any growth shown is known as accrual. The party with the lower accrual will, unless disqualified, be entitled to share in the accrual of the party showing the higher growth. If utilised correctly the accrual system may hold numerous benefits to a married couple, provided that the structure their estate strategically to maximise such benefit. If utilised haphazardly, however, the accrual system may lead to much heartache and strife in the event that the marriage relationship is terminated by divorce. It is imperative to evaluate the facts surrounding each proposed marriage before deciding whether to get married with or without the operation of the accrual system. Attend a brief consultation at our offices together with your fiancé for us to answer any questions you may have. Once all your questions have been answered, you and your fiancé will sign the necessary documents for your ANC to be notarised and registered. Once you have signed the documents, we take care of the rest. We will advise you once your ANC has been registered at the Deeds Office and is ready for collection at our offices. What happens if I do not sign an ANC? Your marriage will revert to the default position in terms of South African Law. Your marriage will therefore be in community of property. Can I wait until after the wedding to sign an ANC? No. Your ANC must be signed before your wedding. Although there are ways to change your matrimonial property regime after your wedding, these entail High Court litigation, and are very costly. Can I be held liable for my spouse's debt if we sign an ANC? Although there are exceptional circumstances where you may be held liable for your spouse’s debt, the standard position if you have signed an ANC is that you cannot be held liable for the debt of your spouse. Is the accrual system the same as a marriage in community of property? No. Although there are similarities in that a measure of sharing is involved, there are a few very important differences. The main difference is that spouses married subject to the accrual system still have separate estates, whilst spouses married in community of property share one estate.